If you follow me on Twitter or Facebook, you might have seen this already, but I just realized that I never talked about my latest publication here on the blog. 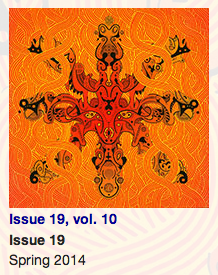 Earlier this month, my short story “Bringing Them Home” was featured in Switchback Magazine. It’s based on a true story that my mom saw on the news and told me about. I was so moved that I sat down and scribbled out my own version in one go. Certain elements have been changed from the real event, but I think the heart remains the same. And it’s a fitting tale for Memorial Day Weekend. It’s a thank you to our all service men and women. Omg, your story made me cry at work! You are so talented. And your story made me cry too. Oh, I can’t wait to read this! Thanks for posting the link!